This morning, I chose to attend a series of lectures on thoracic radiography. I absolutely love radiology, and can never learn enough about something I do every day in practice. 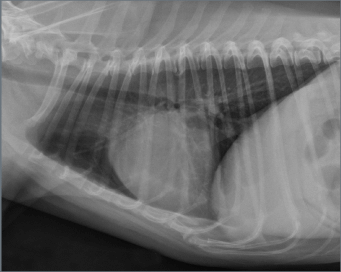 Today’s lectures focused on how to radiographically identify specific diseases associated with acute respiratory distress (think: congestive heart failure, asthma, and pneumonia). We also had a lecture on how to avoid “over-interpreting” thoracic radiographs, thereby accidentally diagnosing normal anatomic structures as abnormal. 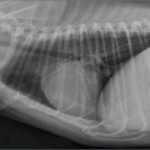 For instance, if the patient’s sternum is a bit over-rotated when laying on the x-ray table (meaning, the dog is crooked), this can cause the false appearance of enlarged lymph nodes along the sternum on a radiograph. Positioning is important, but can be a challenge in an exuberant Labrador or stressed-out kitty! 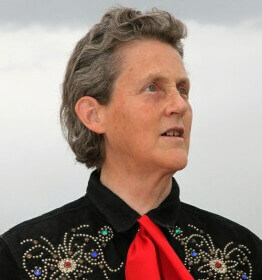 This afternoon, I was thrilled to attend a lecture by one of my professional heroes, Dr. Temple Grandin. 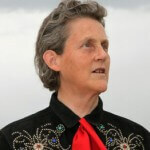 Dr. Grandin has been a longstanding advocate for the humane treatment of animals raised for food production, and has published a large body of research on reducing stress in domestic and farm animals. She has worked with McDonald’s and other large food corporations to redesign the slaughter process for food animals, making it more humane. 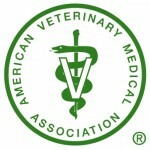 Today, Dr. Grandin spoke about how we can help reduce stress in our veterinary patients; she cited a study where cortisol (stress hormone) levels were determined to be dramatically lower in shelter dogs who had 45 minutes of play and human interaction a day, versus those who had little to no stimulation and human contact. 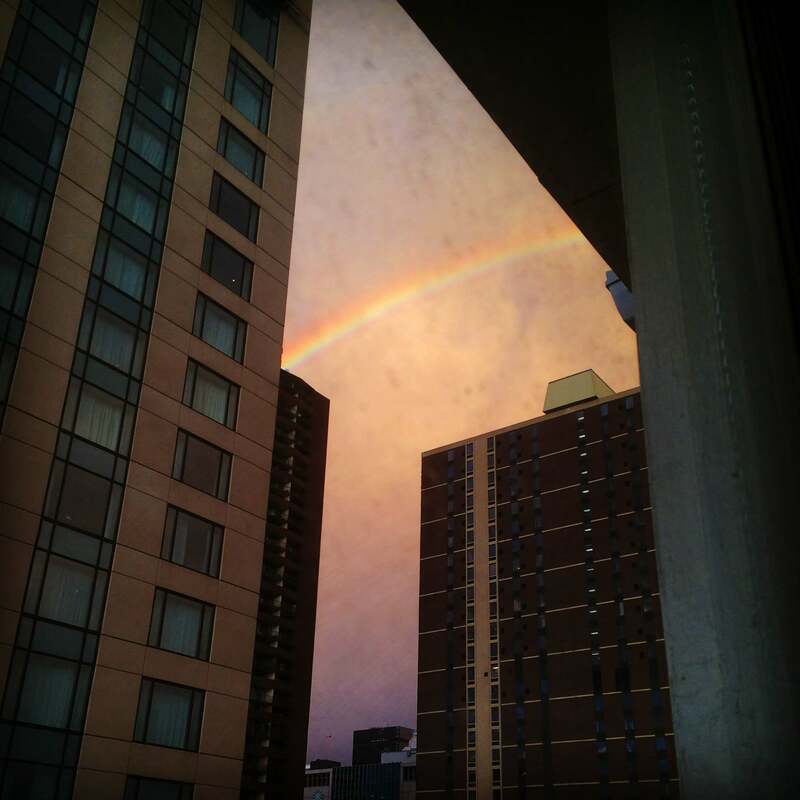 Simple things such as turning down bright lights and reducing noise exposure for hospitalized patients can go a long way to reducing their stress levels, and improving their healing. 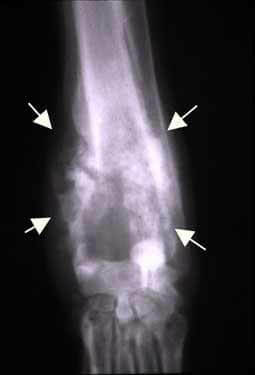 The final lecture I attended today was about osteosarcoma, the most common bone tumor diagnosed in dogs. 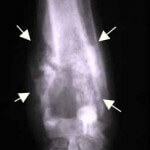 Osteosarcoma is a horrible and painful disease, in dogs and in humans. Much research has been done on this cancer in canines, but at this time our ability to treat it is very limited. Dogs who undergo amputation of the affected limb with no other treatment have only a 5-month median survival; dogs treated with amputation and a combination of chemotherapy and/or radiation can have up to one year of survival, before metastatic disease becomes too significant. There are some interesting new treatments being tested right now, including a class of drugs known as bisphosphonates (human drugs such as Boniva and Fosamax); these medications inhibit bone destruction, thereby reducing pain and further bone damage. However, no new treatments have been found to extend the survival time for patients with this disease. 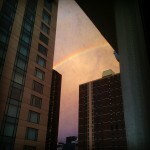 Yesterday, I was treated to a rainbow outside my hotel window (see my photo, left). Tonight, I’m in search of some excellent Denver Mexican food and maybe a margarita! Tomorrow, I look forward to a day of lectures about anesthesia and analgesia; yes, I’m a nerd, but I love to learn.